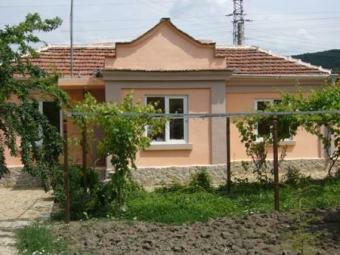 Description: This pretty house lies in a big village 36km southwest of the city of Varna! The region offers excellent conditions for all kind of holidays, entertainment, fishing and water sports. It is also perfect for retirement and relocation.T he village where the house lies is a peaceful one, offering blue skies and clean air. In the same time all amenities are nearby. All this will create coziness and comfort that you can enjoy. The house itself is in a very good condition. The living area is 93 sq m and comprises of 3 bedrooms, kitchen, bathrom/WC. The green garden around has a fair size a 685 sq meters. Do not miss the chance to purchase a property in Sunny Bulgaria!